A central bank digital currency (CBDC) would see central banks distribute digital money which could be redeemed for their respective domestic fiat currencies. In the case of an American CBDC, this would be the US dollar or in Russia, this would be a “Cryptoruble.” These digital currencies would be maintained on any number of blockchain networks and propose a handful of different advantages. 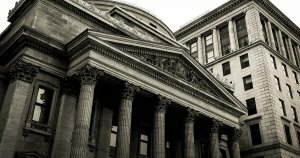 To get a better idea of the current state of research in this specific field, the World Economic Forum (WEF) prepared a March 2019 report that asks, how are central banks exploring blockchain today? The Bank of England, for instance, has been developing research since 2014 starting with two seminal papers. With such little change in the finance sector, a series of different CBDC pilots have emerged that explore the above-mentioned subject among others. Typically, these pilots have been launched on Linux Foundation’s Hyperledger Fabric, R3’s Corda, J.P. Morgan’s Quorum, or a novel iteration of the Ethereum network. Brazil, for instance, is piloting a decentralized information exchange platform (Project PIER), South Africa is looking into a CBDC for domestic interbank payments (Project Khokha), and Sweden is hoping to use a CDBC (e-krona) in a push to become a cashless society. 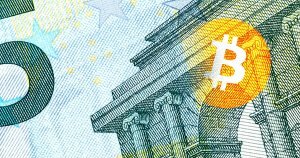 The post Central banks looking to cryptocurrency to replace cash appeared first on CryptoSlate.